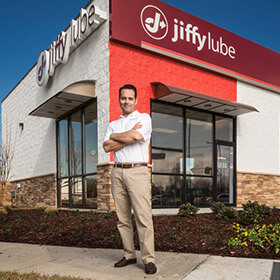 HOUSTON, TX February 21, 2017 – Convenient, quality vehicle care is expanding in the greater Minneapolis-St. Paul Area with the grand opening of two new Jiffy Lube service centers – one in Rochester and one in Baxter. Jiffy Lube, the pioneer of the fast oil change industry, remains the leader in automotive maintenance. The Rochester Jiffy Lube, located at 4585 Commercial Drive, is open Monday through Friday from 8 a.m. to 6 p.m. and Saturday from 8 a.m. to 5 p.m. The Baxter Jiffy Lube service center, which opens March 6, 2017, is located at 13442 Elmwood Drive. The service center will be open Monday through Friday from 8 a.m. to 6 p.m. and Saturday from 8 a.m. to 5 p.m. No appointment is necessary. Jiffy Lube technicians offer a range of services, including the popular Jiffy Lube Signature Service® Oil Change, which includes checking, changing, inspecting, flushing, filling and cleaning essential systems and components of the vehicle to keep it running smoothly. Jiffy Lube Signature Service® Oil Change customers will also receive free top-offs on motor oil with the same type of oil purchased and any or all of the five vital fluids between service visits (up to a maximum of two quarts per fluid). For more information about Jiffy Lube, please visit www.jiffylube.com.